In a large frying pan, saute the diced plantain in 1 tbsp of extra virgin olive oil until golden. Remove from pan and set aside. Add the curry paste to the pan and fry for one minute. 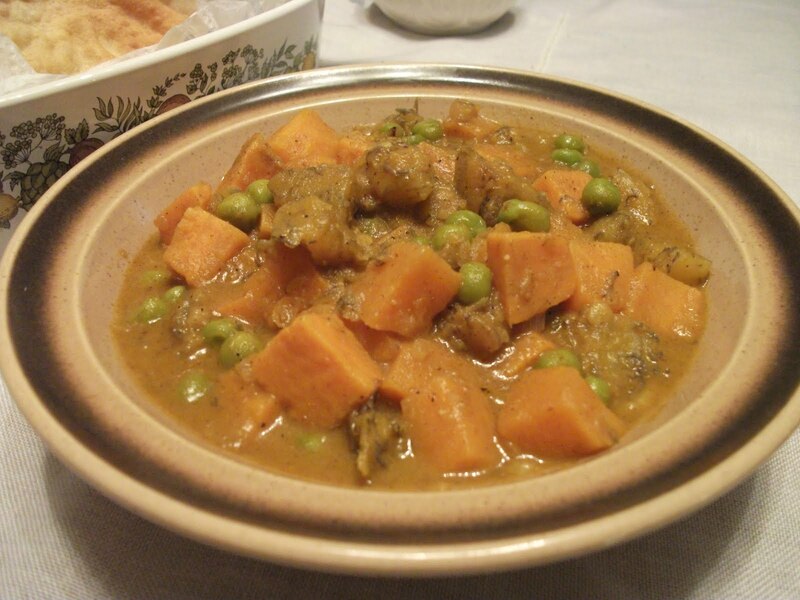 Stir in cubed sweet potatoes, lentils and plantain to coat in curry paste. Pour in vegetable stock and coconut milk. Bring mixture to a boil then allow to simmer for about 15 minutes. Stir in one cup of frozen green peas, bring to a boil and then simmer for an additional 4-5 minutes. If desired, add the juice of one lime. Taste and adjust seasoning before serving.